Learn more about this summer's adventures and the ongoing Airstream renovation on Instagram. Learn how classically-trained Bulgarian painter Boriana Mihailovska brings a modern perspective to her abstract paintings and prints. Jewelry maker Ingrid Cano integrates driftwood and other natural materials to create modern, one-of-a-kind designs. Learn how this Sesame Street puppeteer created her dream studio in a renovated pie factory. Even as a relative novice when it comes to making (and consuming) soups in all their many forms, I can't recommend highly enough the Spicy Ramen with Tofu recipe from PInch of Yum. It's super easy to follow, tastes amazing, and she even helps out with sourcing ingredients online if you're daunted by the prospect of visiting ten different stores for super specific elements. P.S. She's totally right — it is actually pretty hard to soft boil an egg — but still totally worth trying. Refresh your titles, tags and item descriptions to increase your shop's chances of getting found by shoppers. From channeling retro '70s icons to accessorizing with copper tones, here are the hottest trends from entrepreneur and author Moorea Seal. Experienced Etsy sellers share lessons they learned while building successful creative businesses on Etsy. Paul Lowe shares four hot trends to watch, as well as merchandising and photography tips to attract new customers. One fateful winter night, two-and-a-half years ago, a rather tipsy me was led to the digestive promised land that is the Caracas Arepas restaurant on the LES. Ever since, I've firmly believed that their crispy plantain chips, spicy-rimmed micheladas, and melt-in-your-mouth La del Gato arepas are going to change the world. Upon hearing of the illustrious Caracas Rockaways, I was intrigued. Rumors of beach-side access to frozen sangria, taro fries, and $8 arepas? You had me at hello. 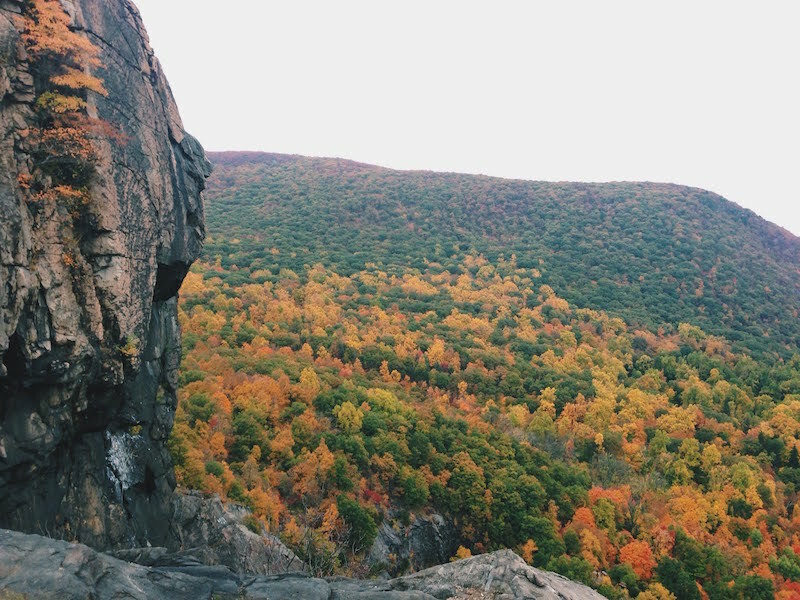 With a daunting snow forecast for this weekend, it's fun to reflect on a trip upstate this fall to Breakneck Ridge. It's easy to get there from the city via Metro North, and the views of the Hudson at each of the three progressive peaks are hard to beat. The first ascent is a steep rock scramble, resulting in an interesting trek for mountain goats and day hikers alike. As you can see, the fall foliage was in rare form for our trip, which made for a truly spectacular hike. Took the Metro North up to Garrison this weekend to see the magical new(ish) home — and lake dock — of some lovely friends. Kate and I swam out to play on a rock in the middle of the lake, and on the way back, were surrounded by inquisitive fish in every size. It was perfectly warm and relaxing, and the perfect quick escape from the madness of the city. Kate's been keeping an eye on this pond frog, who seems to have passed away after his last swim. Amazing bones. Plus a stop on the way home at a small cemetery from the 1800s — soldiers from the revolutionary war are buried below. Check out this top blogger's tips for treating yourself well, balancing personal and professional priorities and tapping into fresh trends. Elsie Larson shares her trend predictions for 2014, from Dalmation print to abstract patterns that pop off the page. Resources and inspiration for the overachieving creative type in all of us. Sign up to receive updates via email.